In Intercom Group We have developed more than 50 Internet businesses mainly classified. 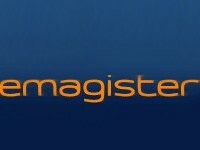 Among highlights our success stories Softonic.com, emagister.com, InfoJobs.net, among others. Our goal is to achieve a profitable business model and provide opportunities for professional and personal fulfillment to many people. In Intercom Group we are more than 1,000 people and figured in the ranking of the Best Workplaces in Spain according to the Great Place to Work Institute. Montserrat participates in Investment Intercom directly.